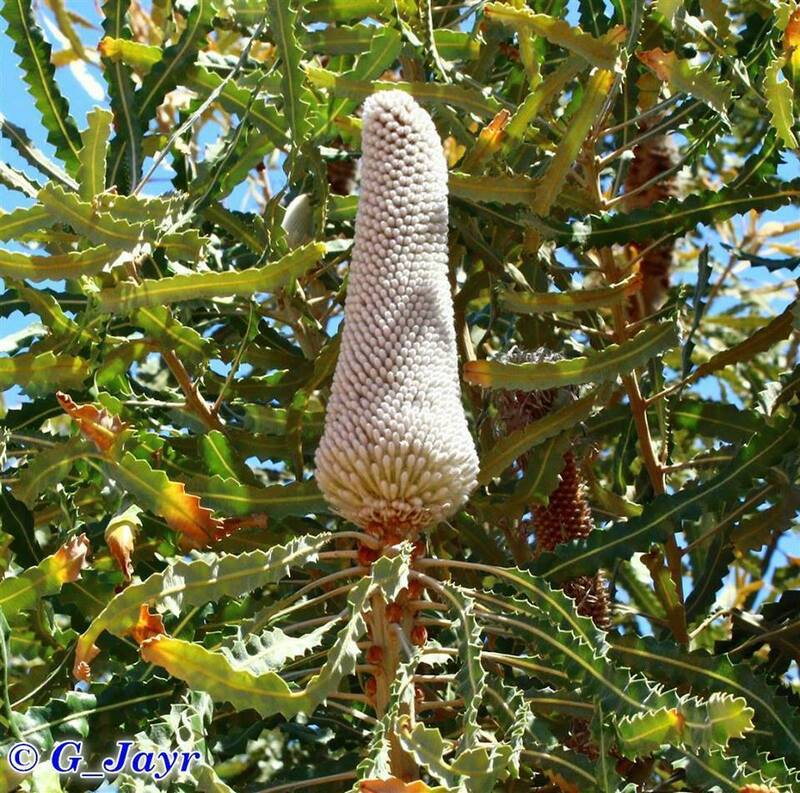 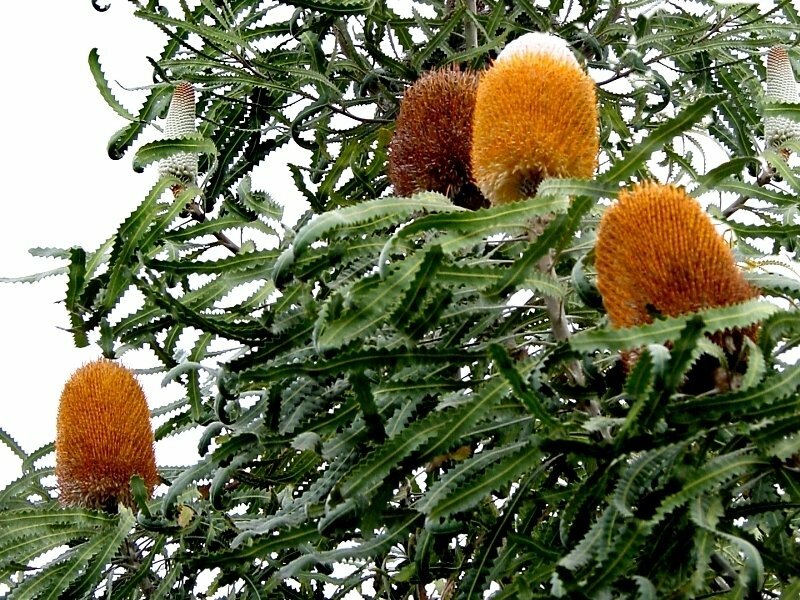 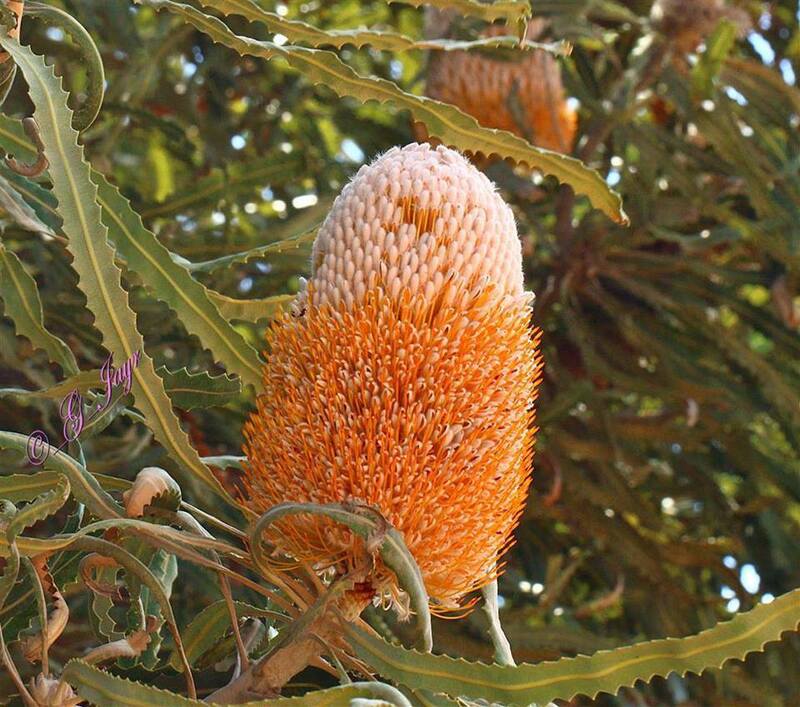 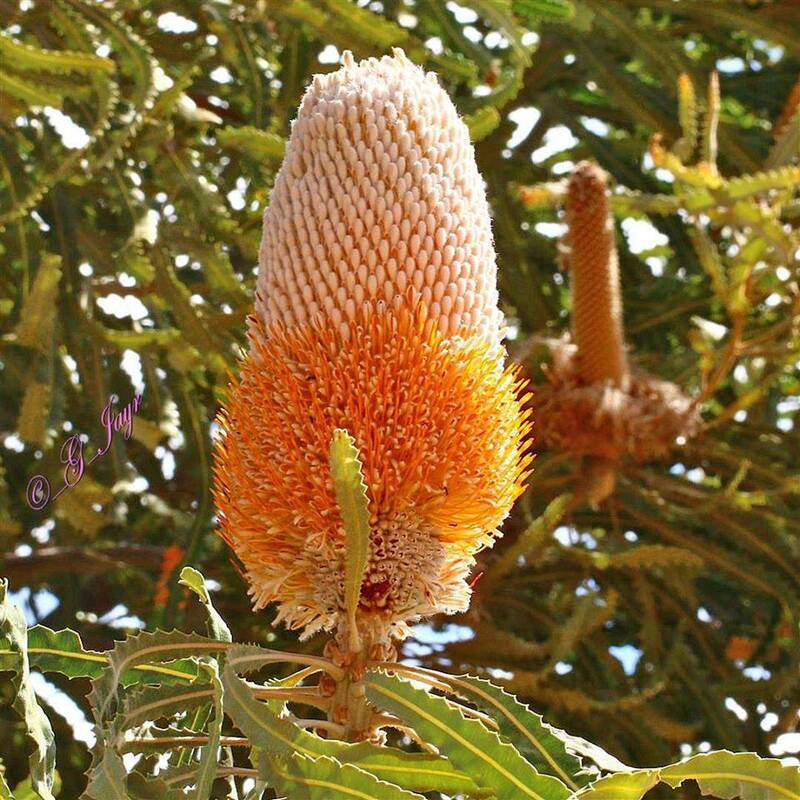 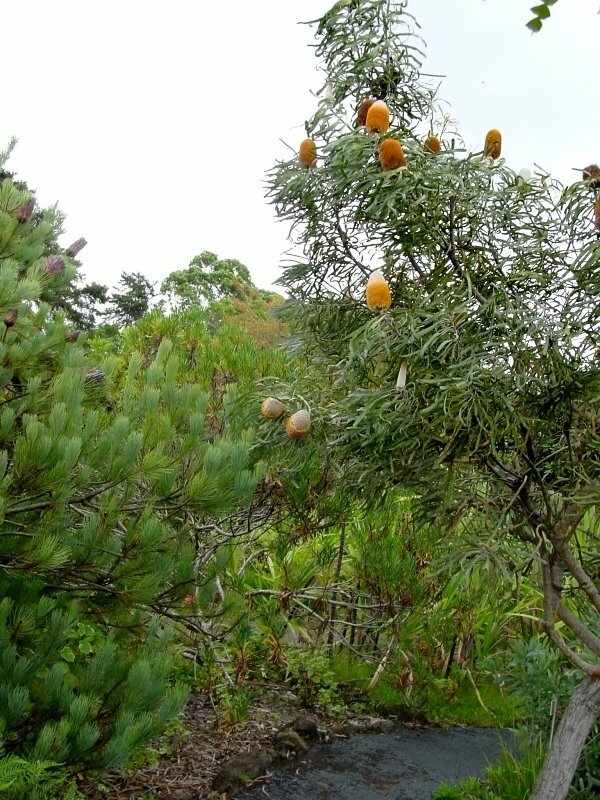 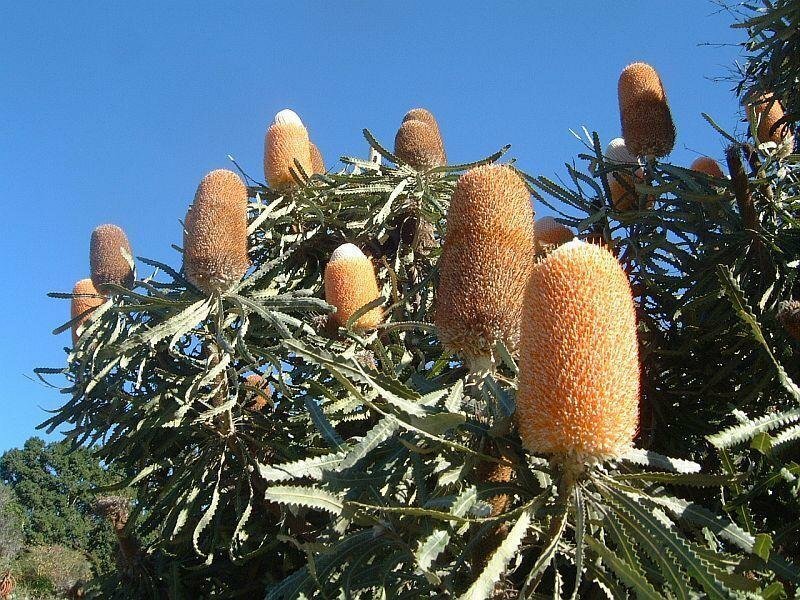 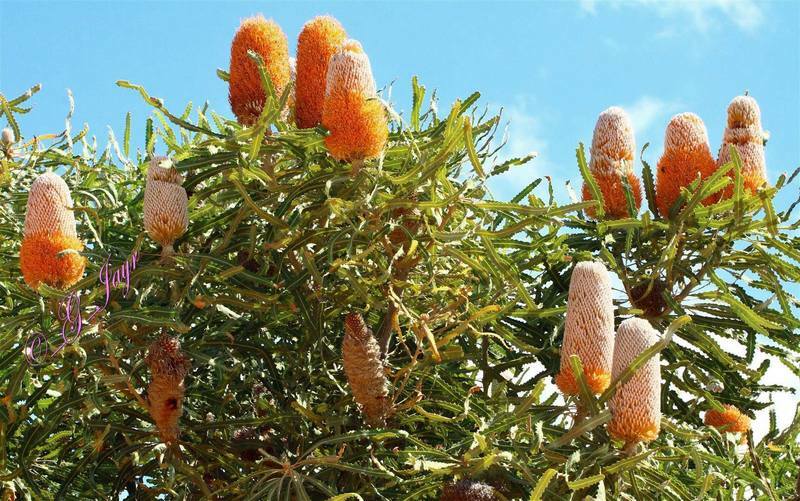 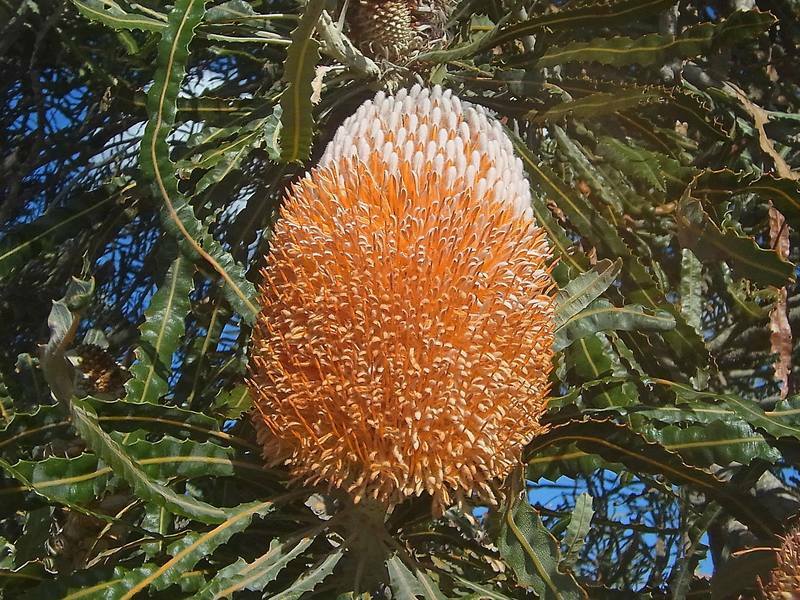 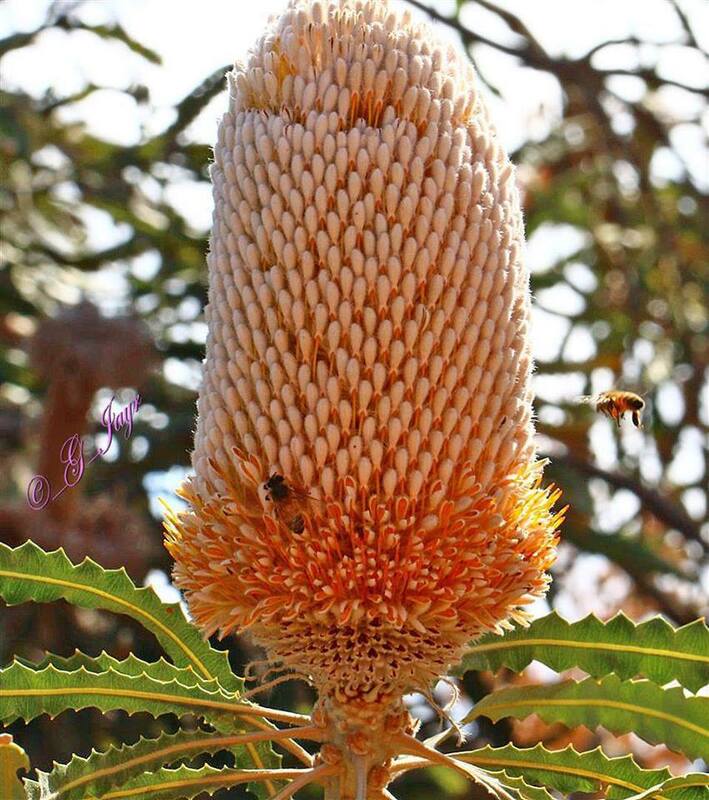 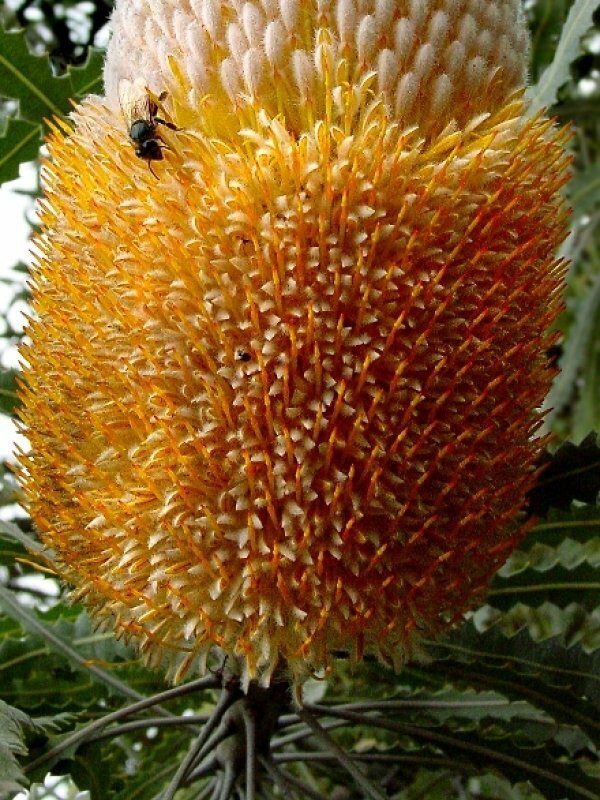 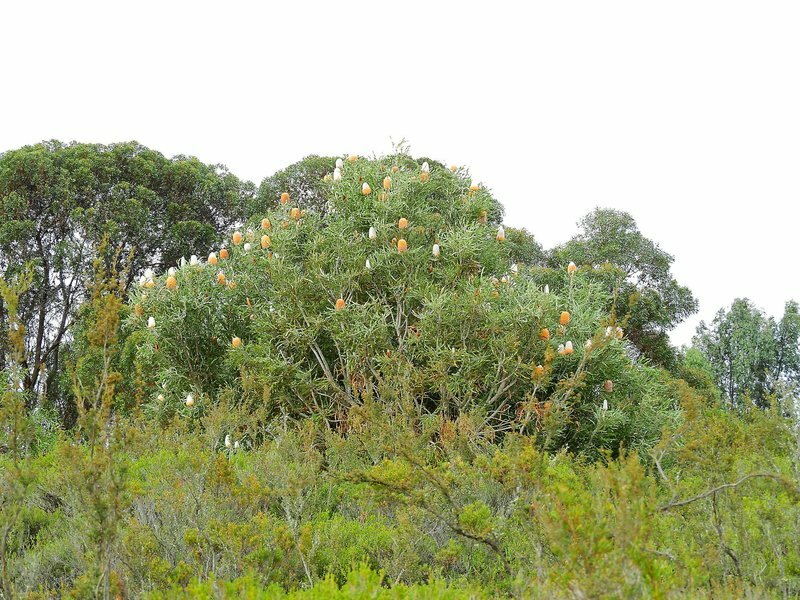 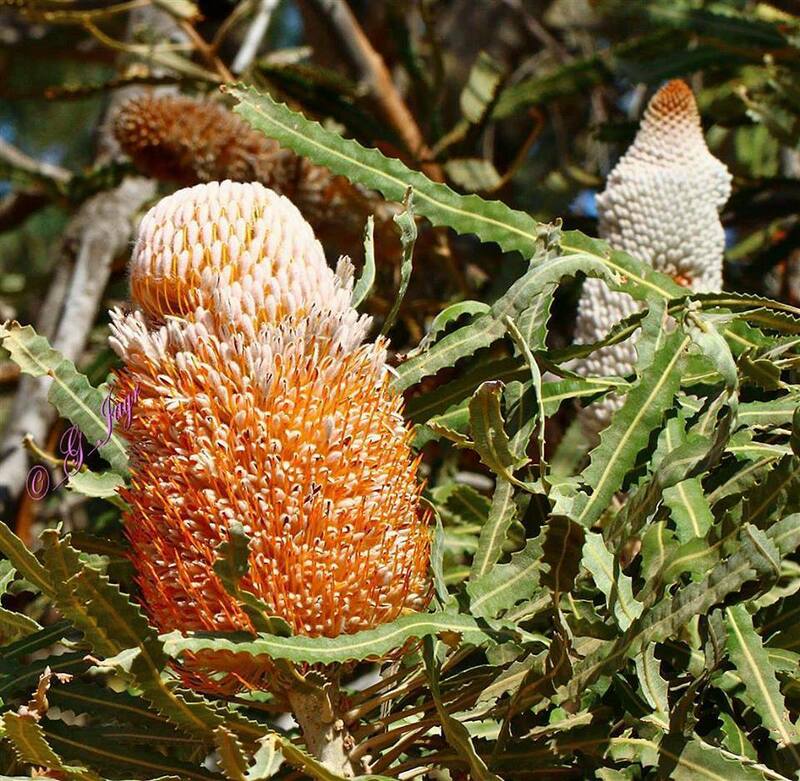 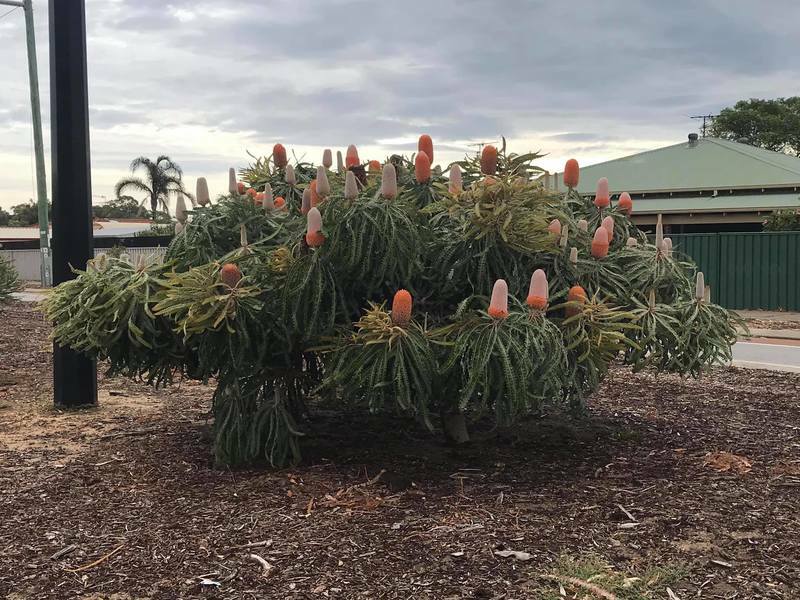 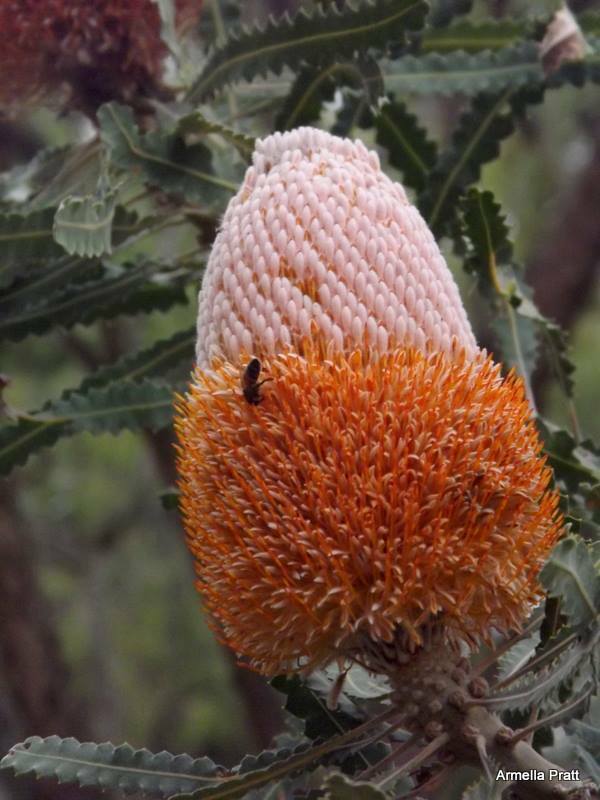 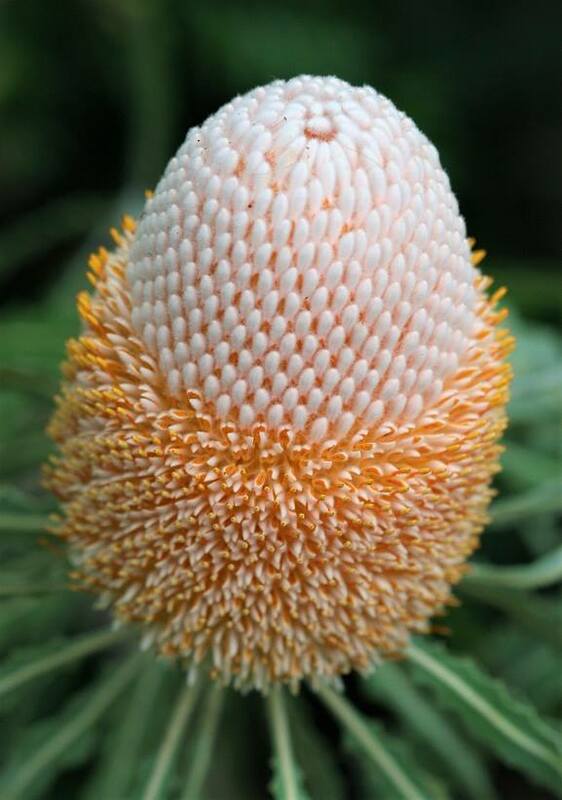 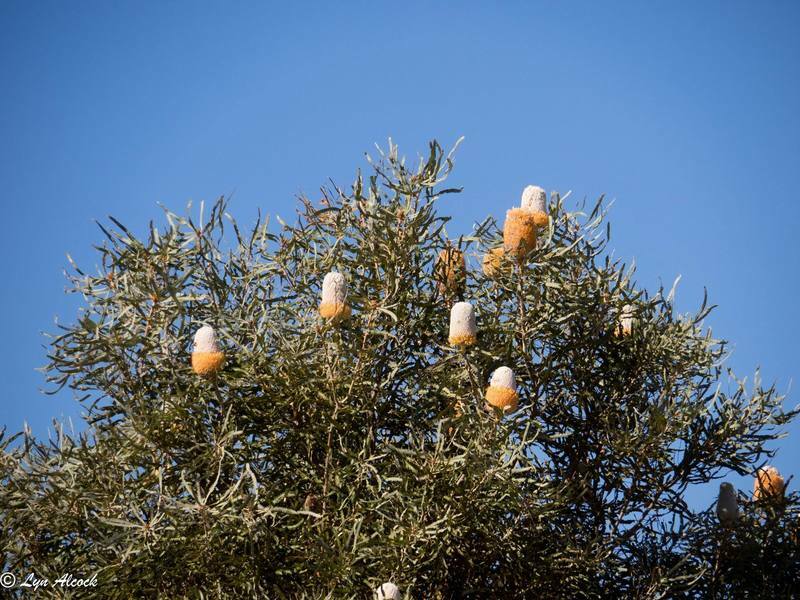 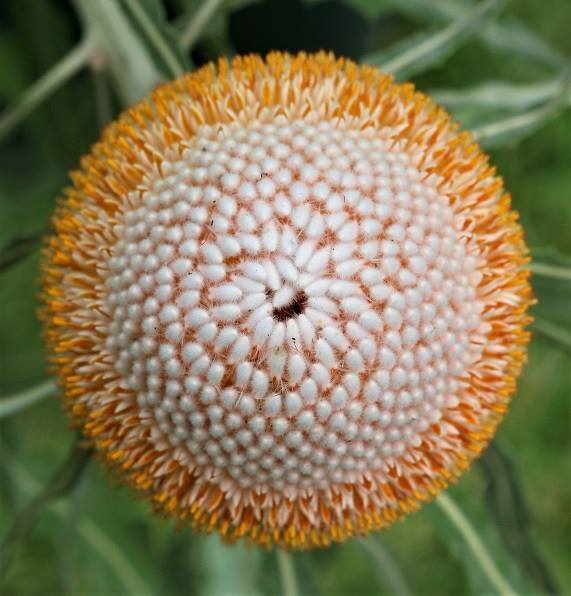 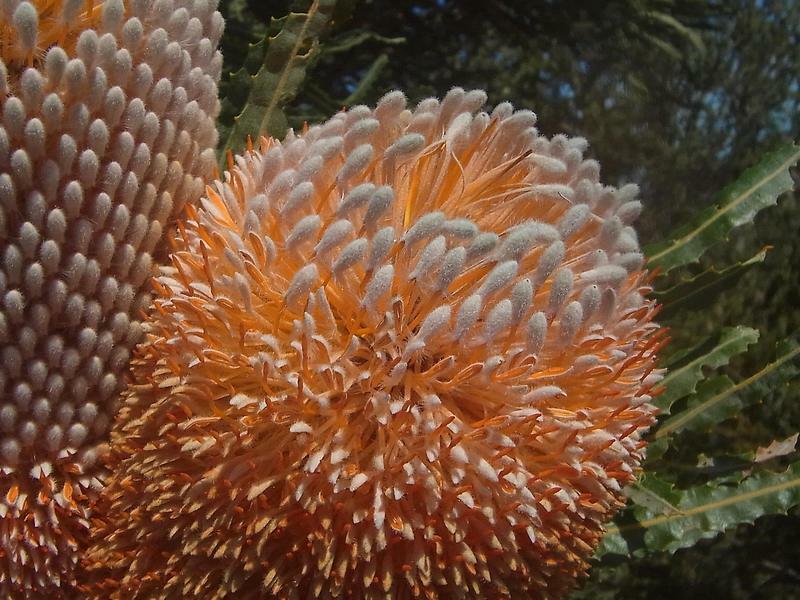 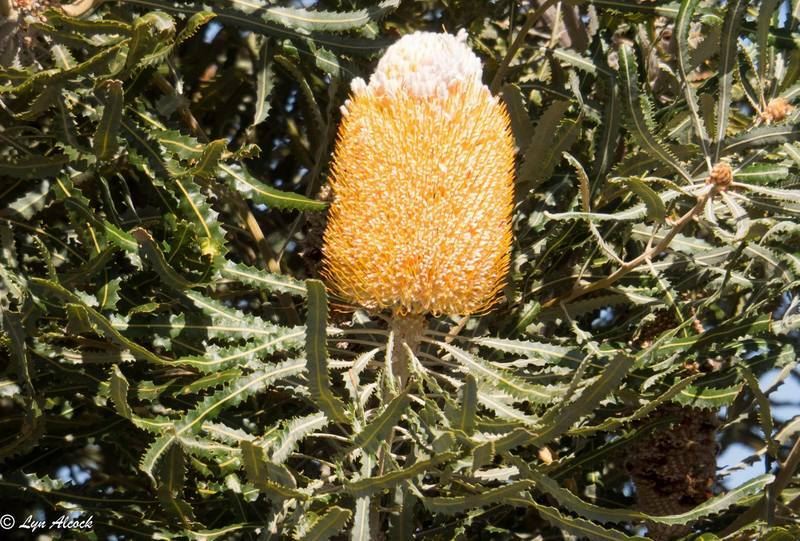 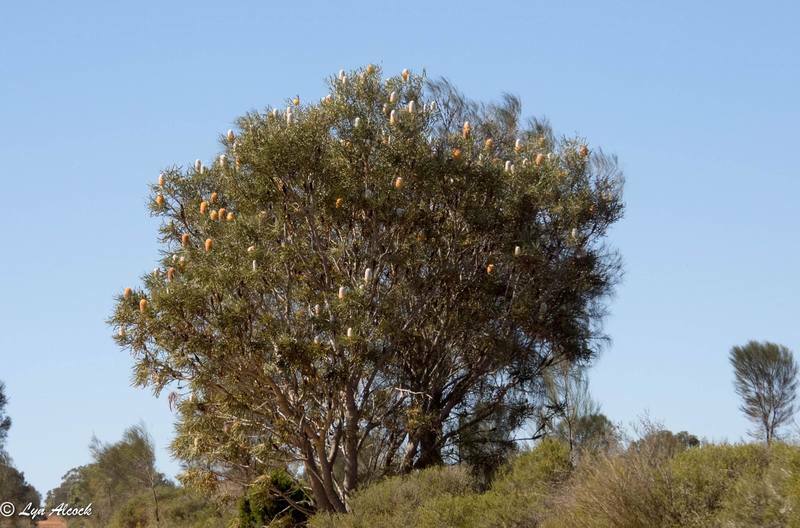 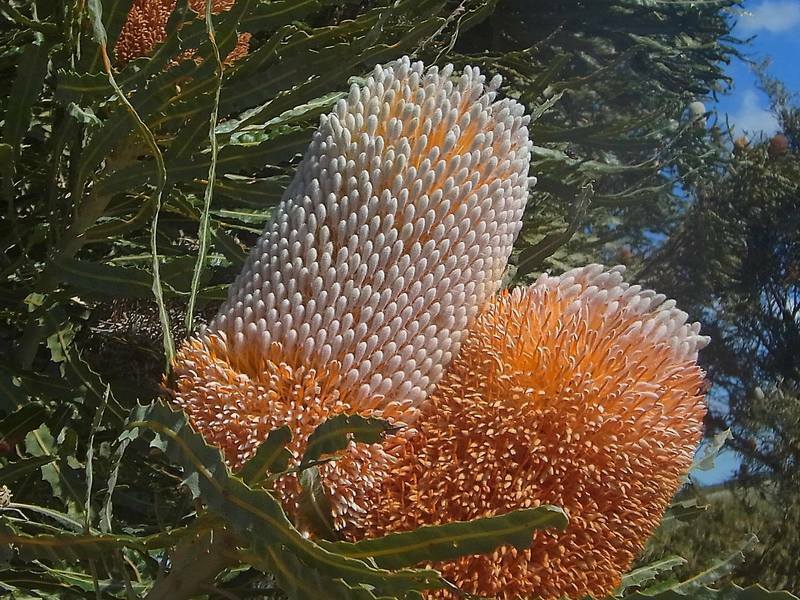 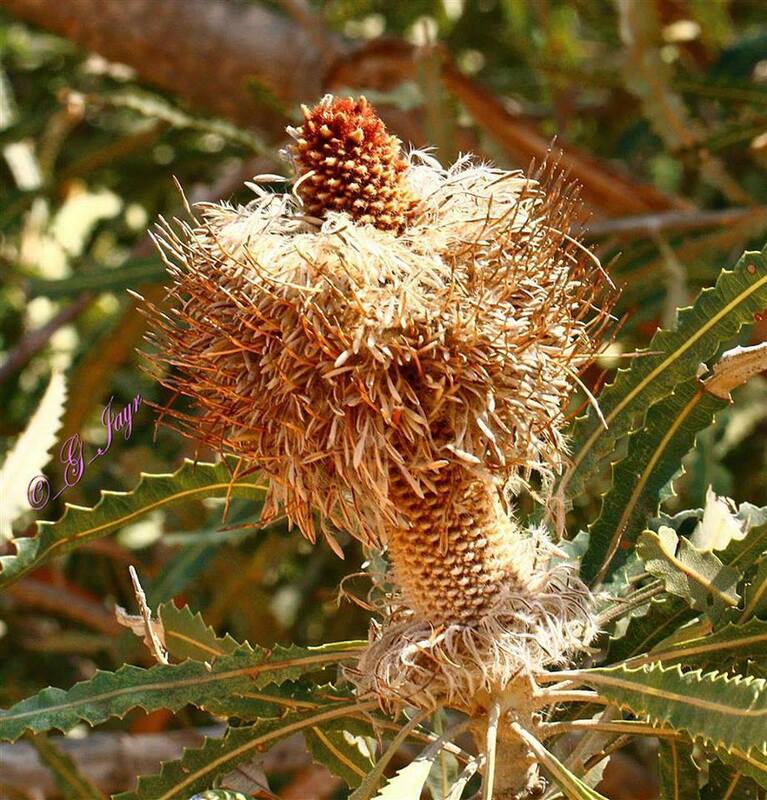 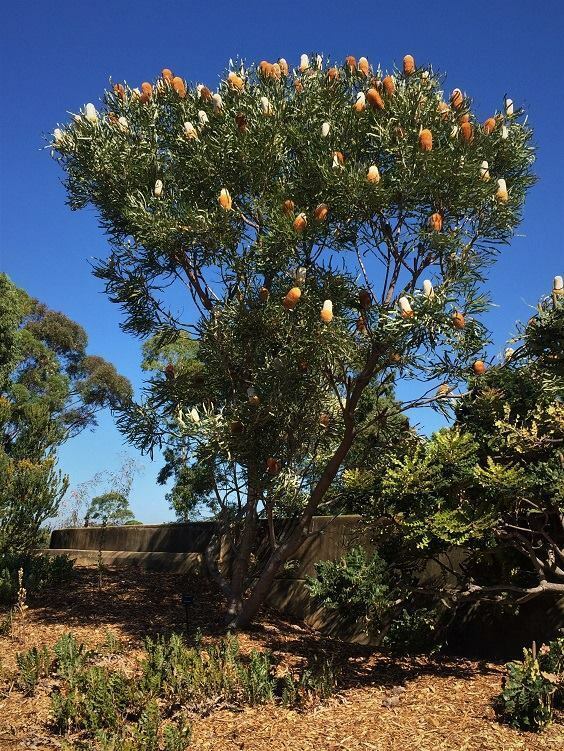 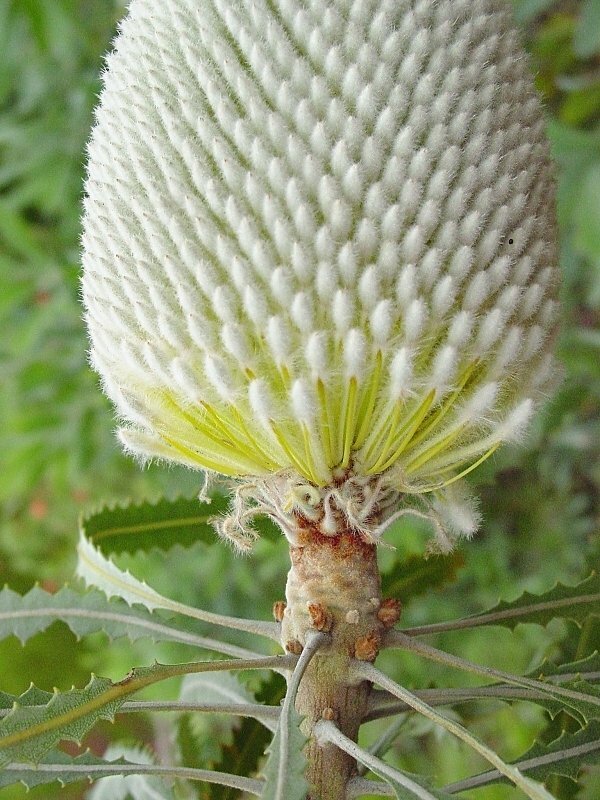 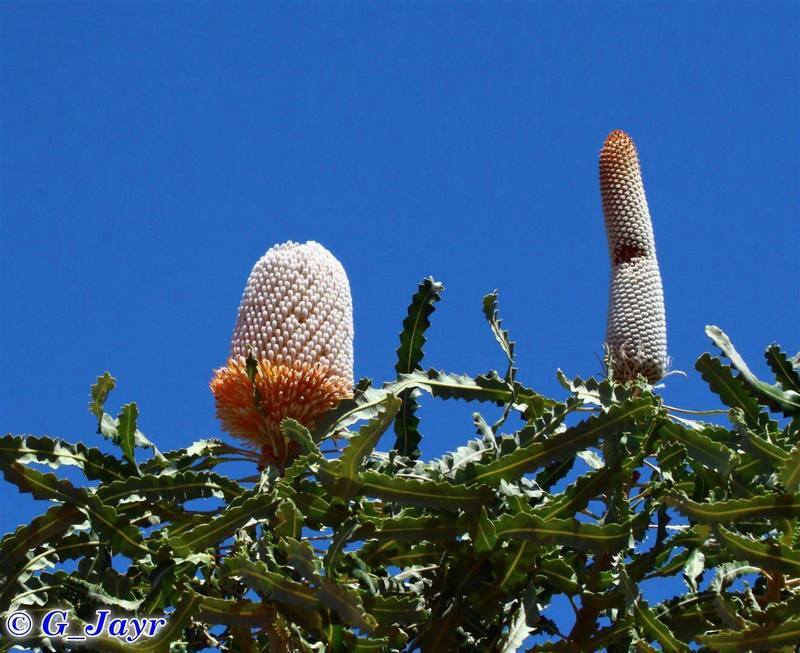 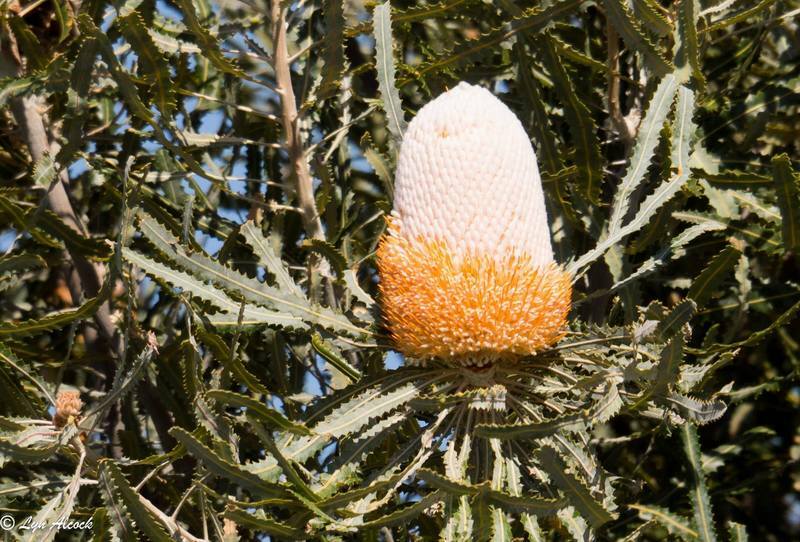 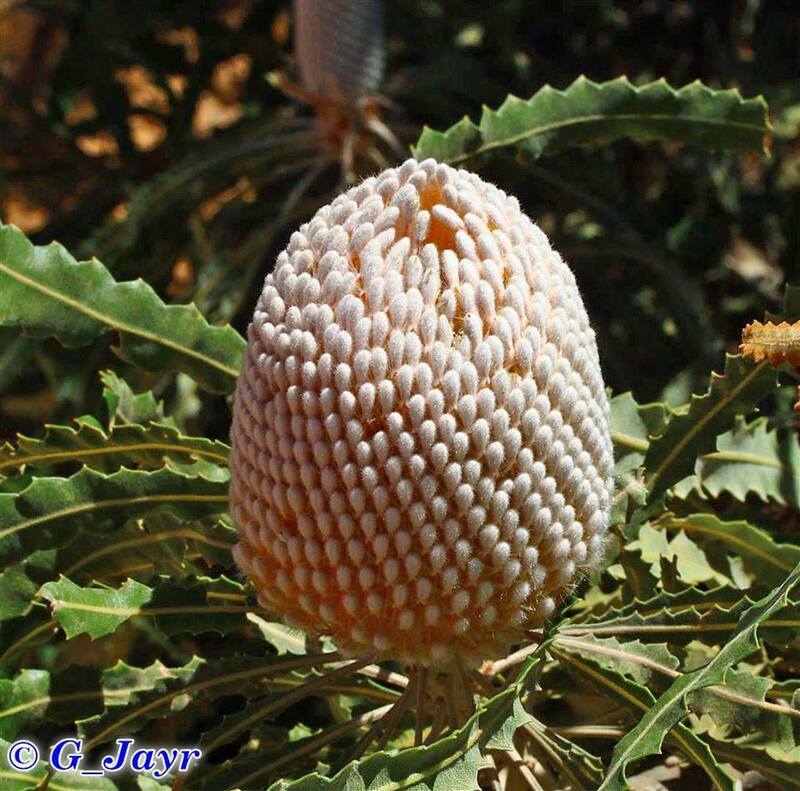 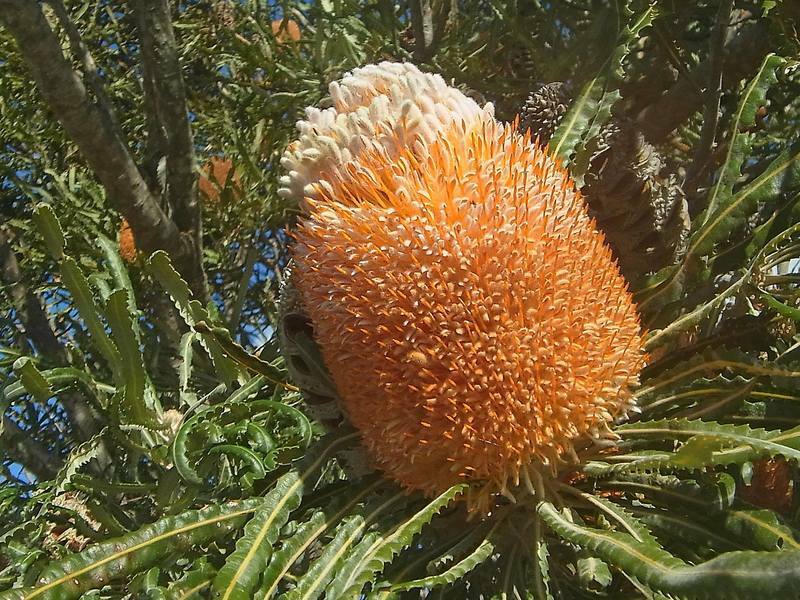 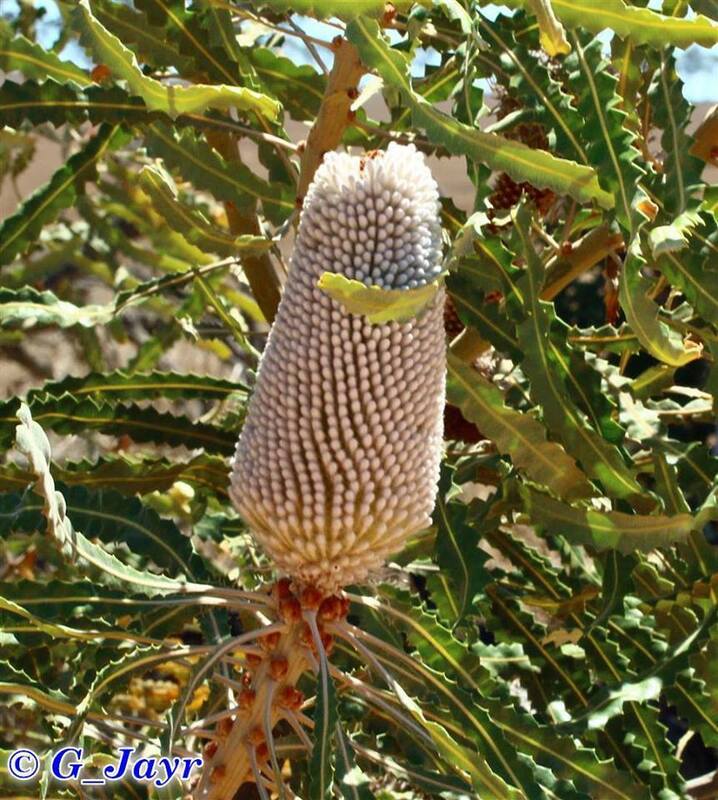 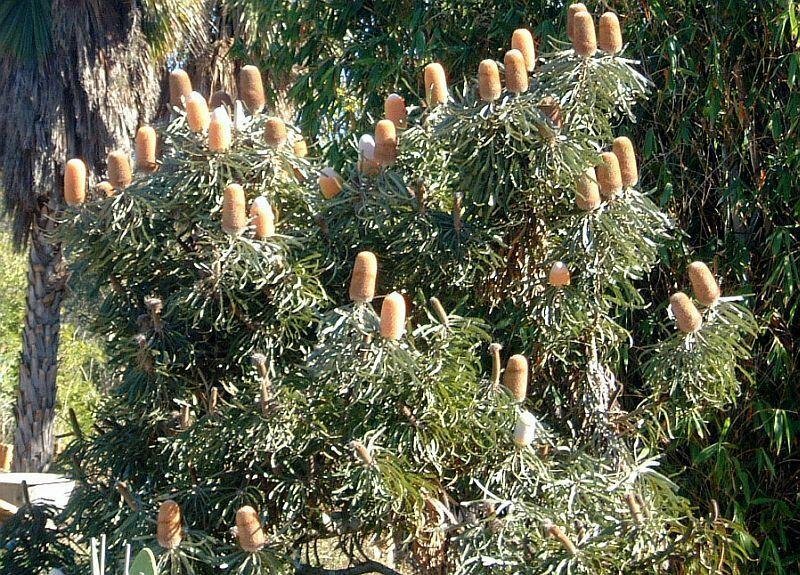 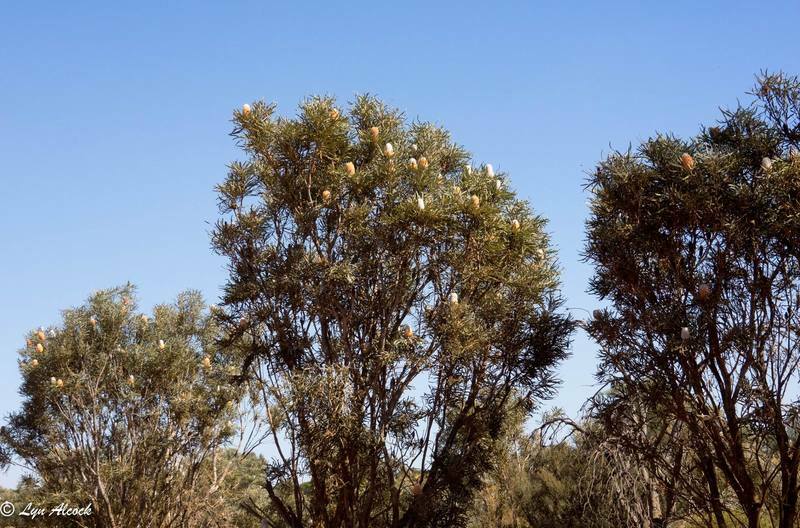 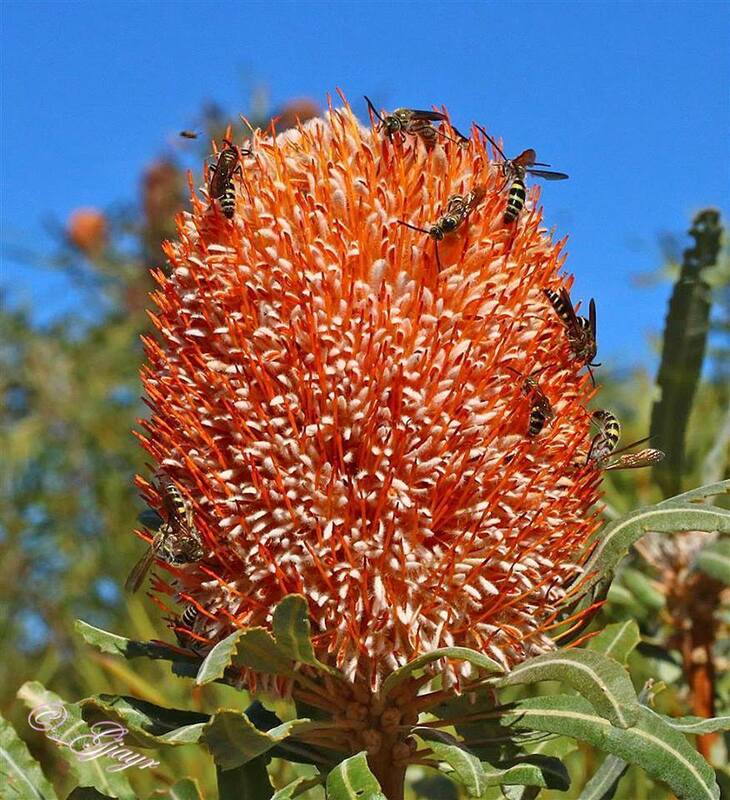 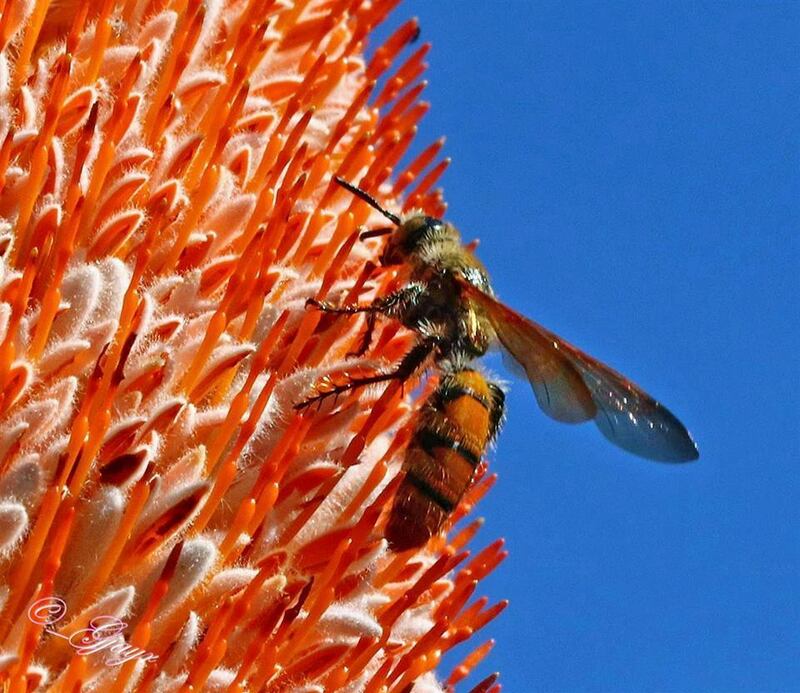 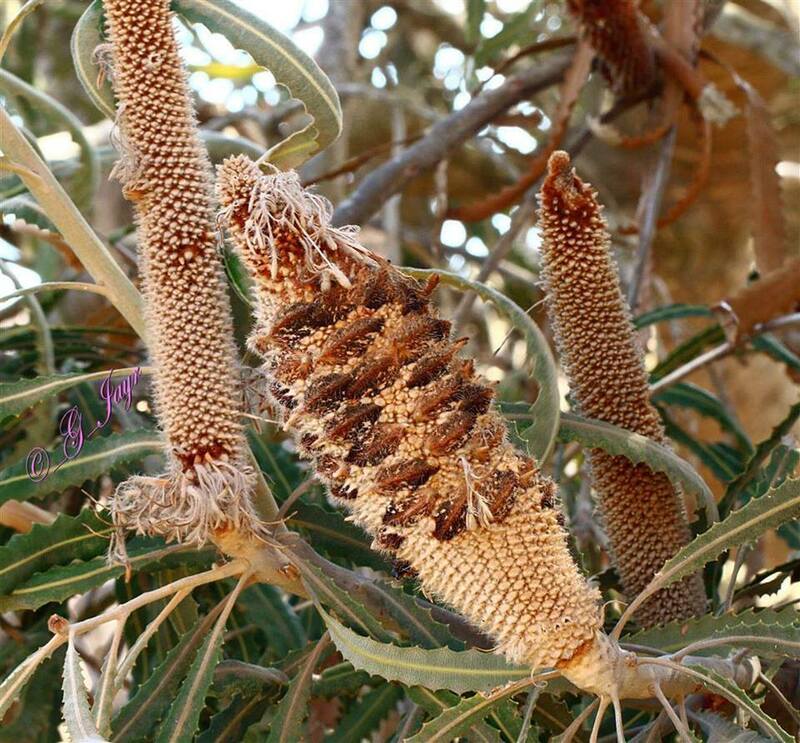 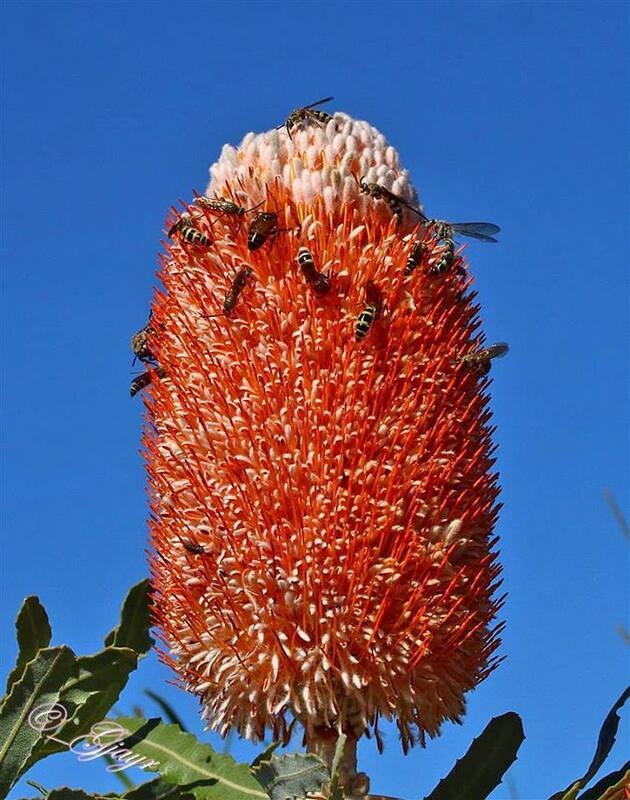 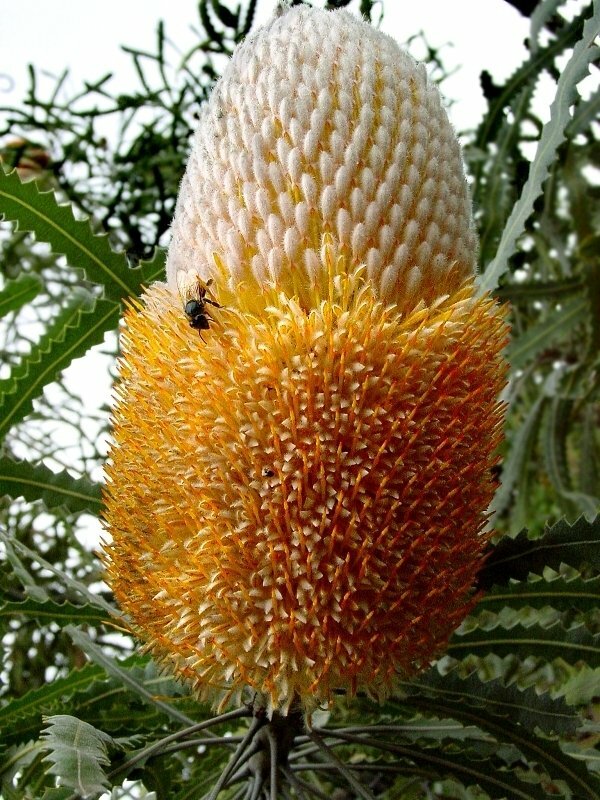 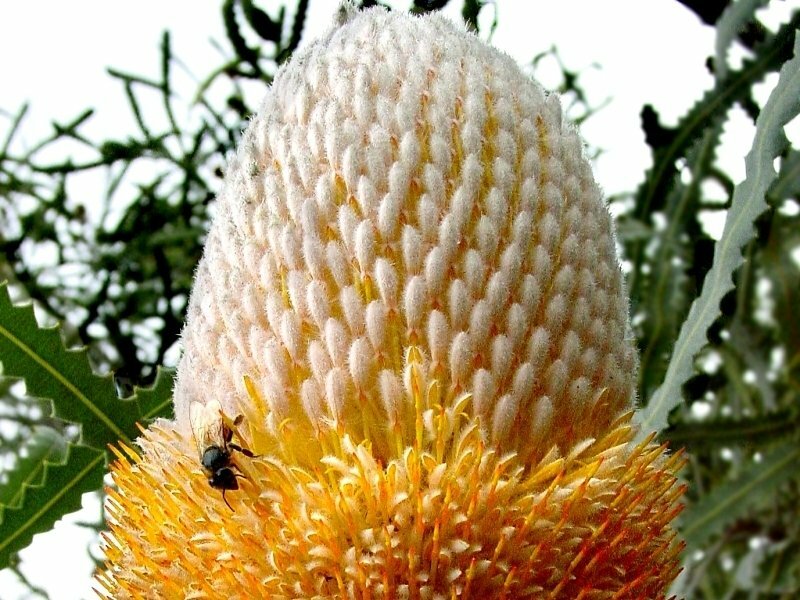 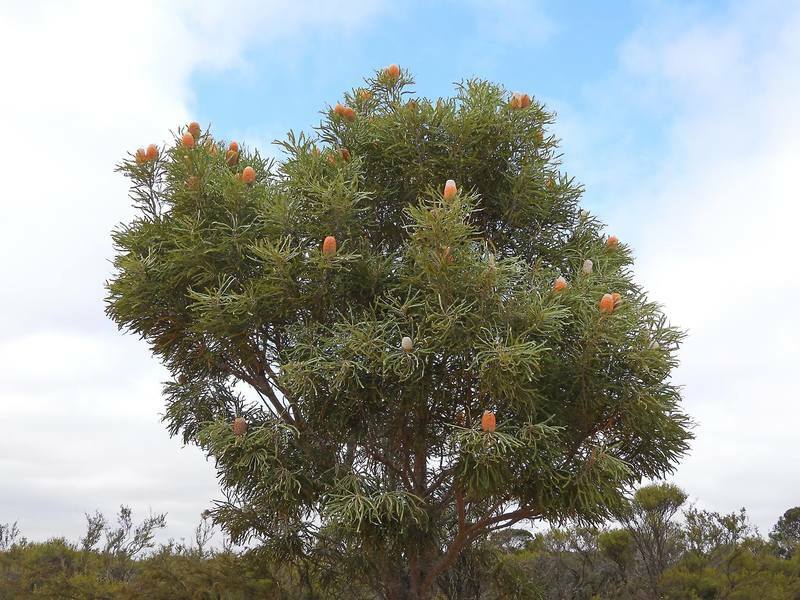 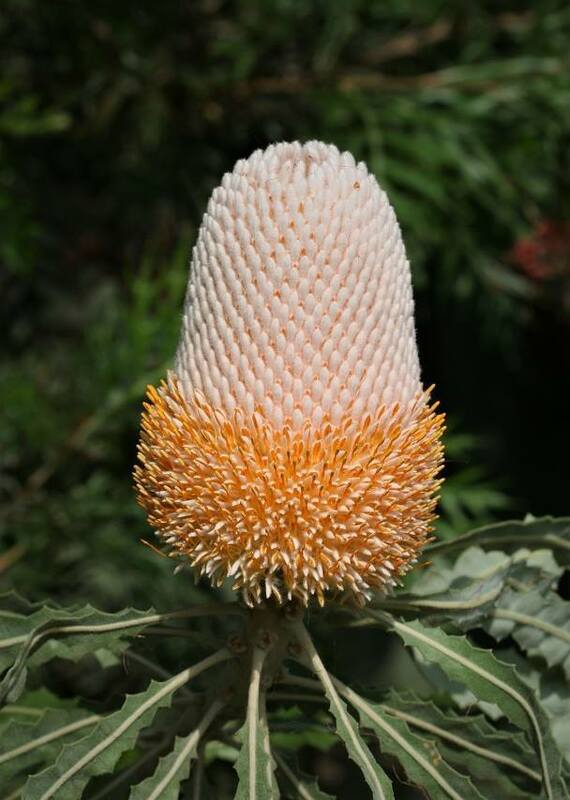 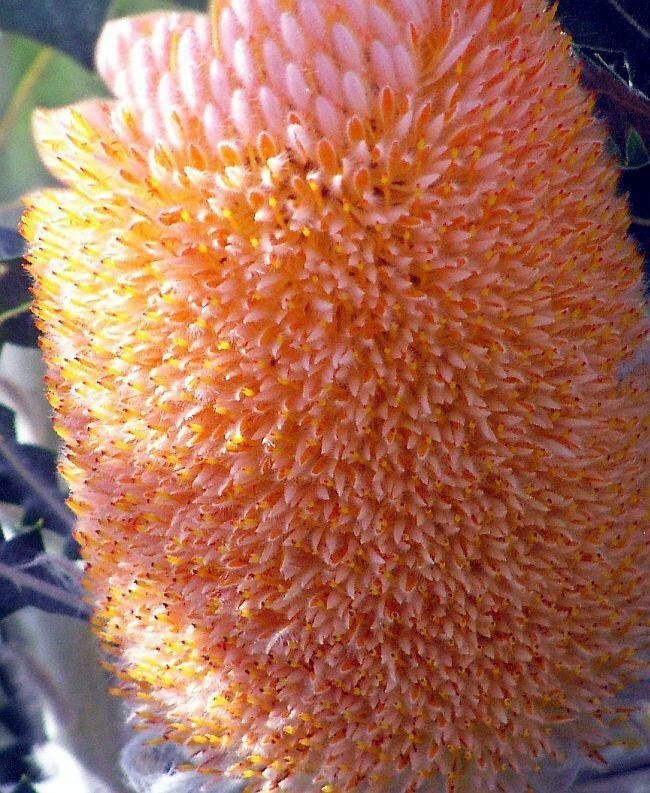 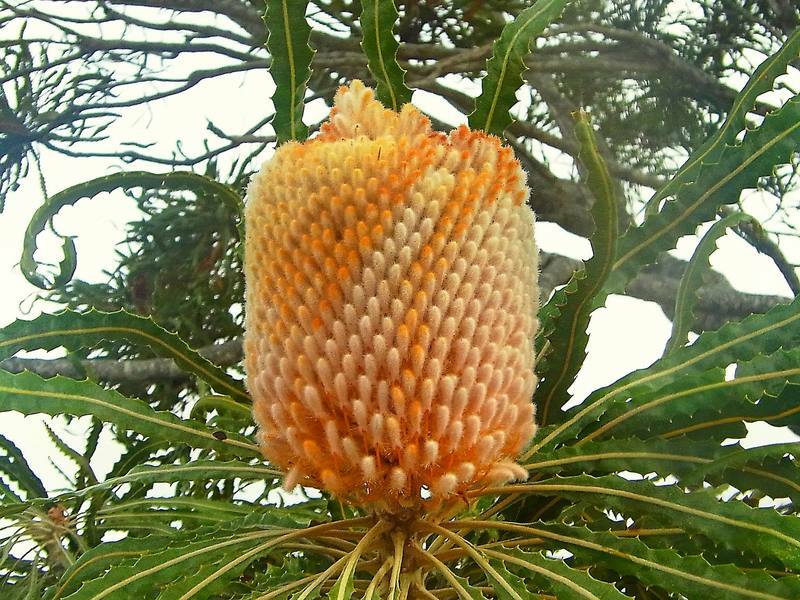 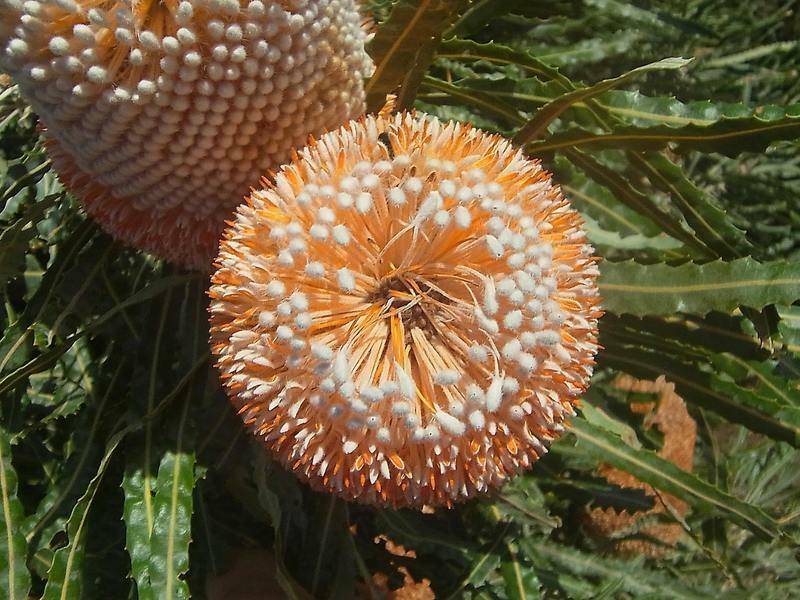 The Acorn Banksia, Orange Frost (Banksia prionotes) bloom is 3 to 6 inches long and 1 1/2 to 2 inches wide. 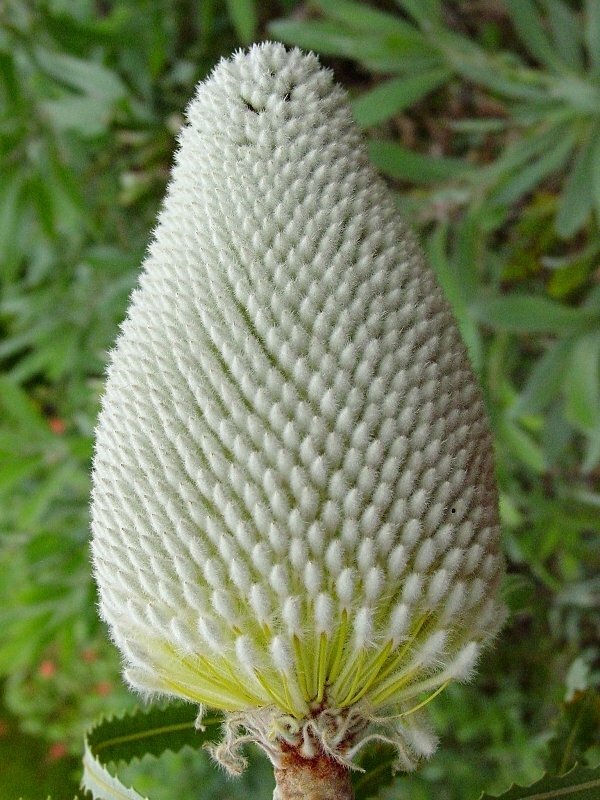 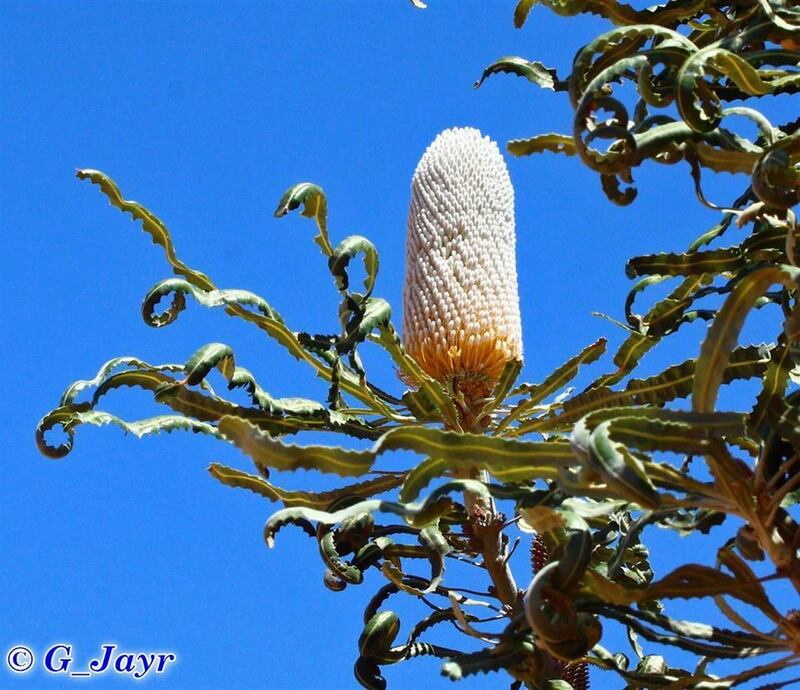 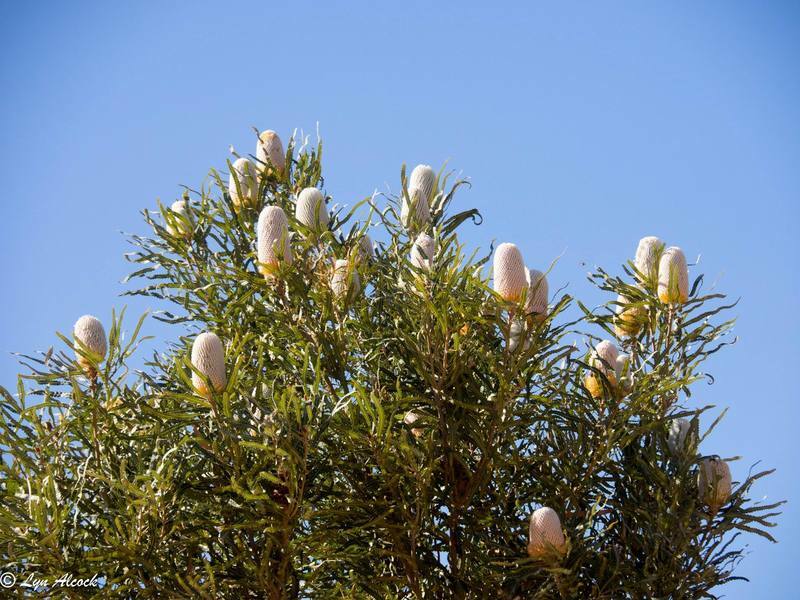 It begins as a creamy white and cream inflorescence. 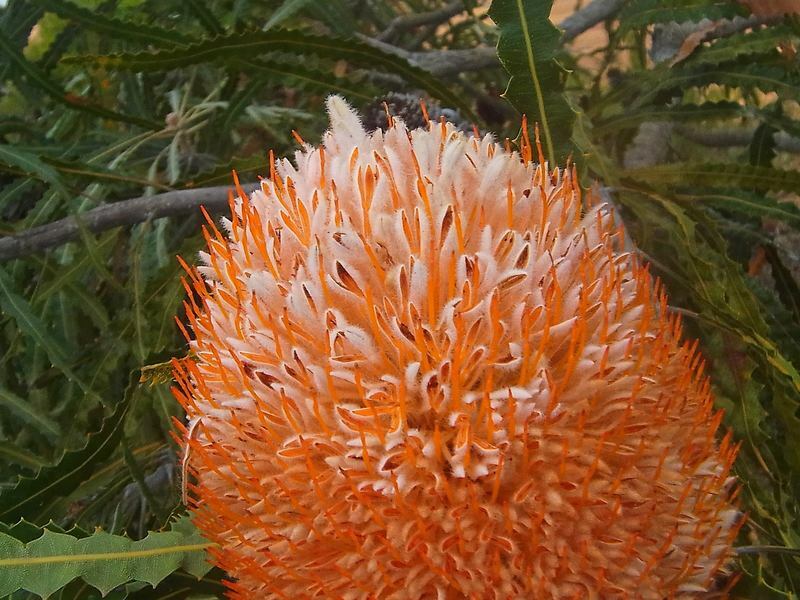 It progressively turns bright orange. 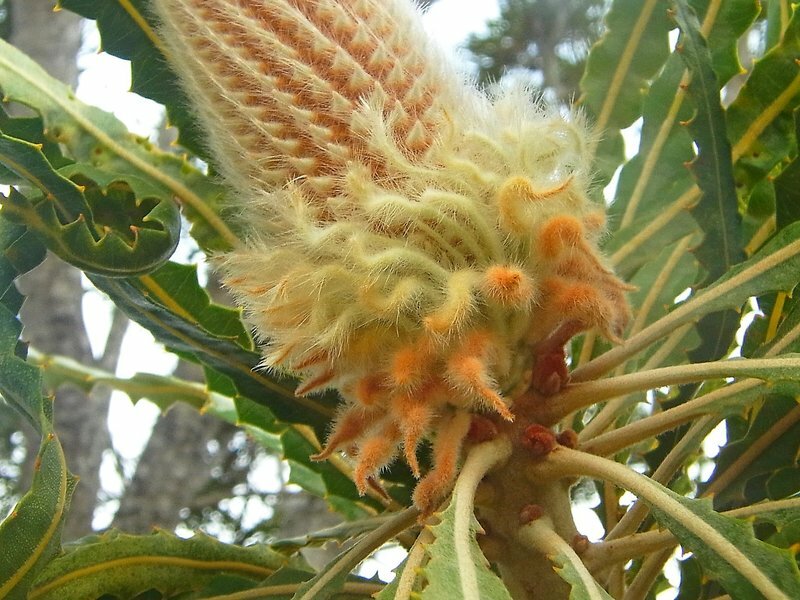 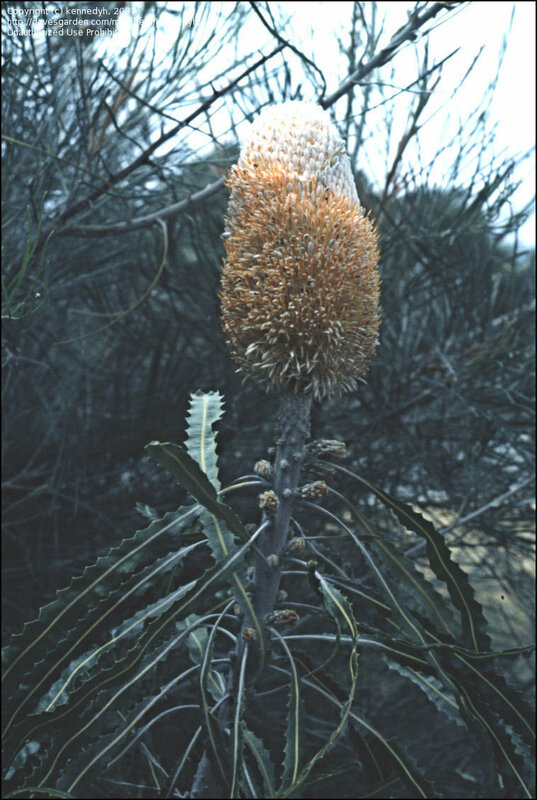 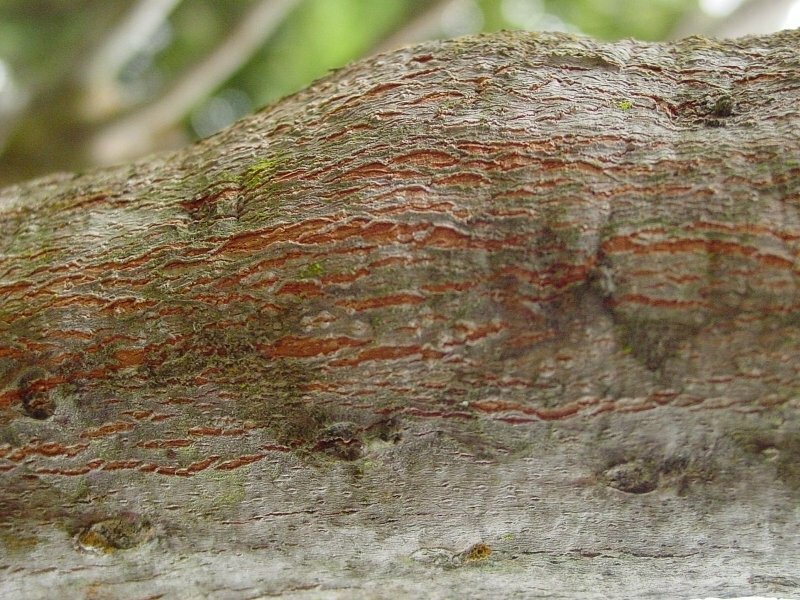 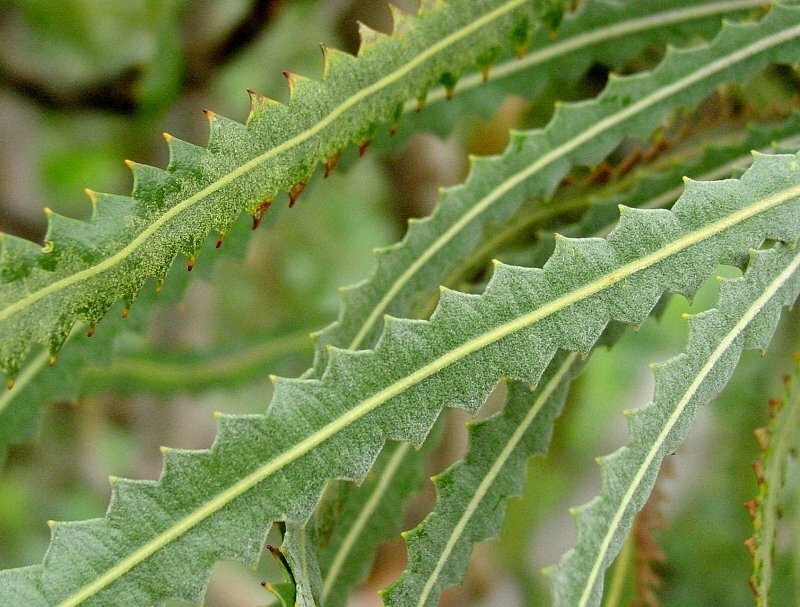 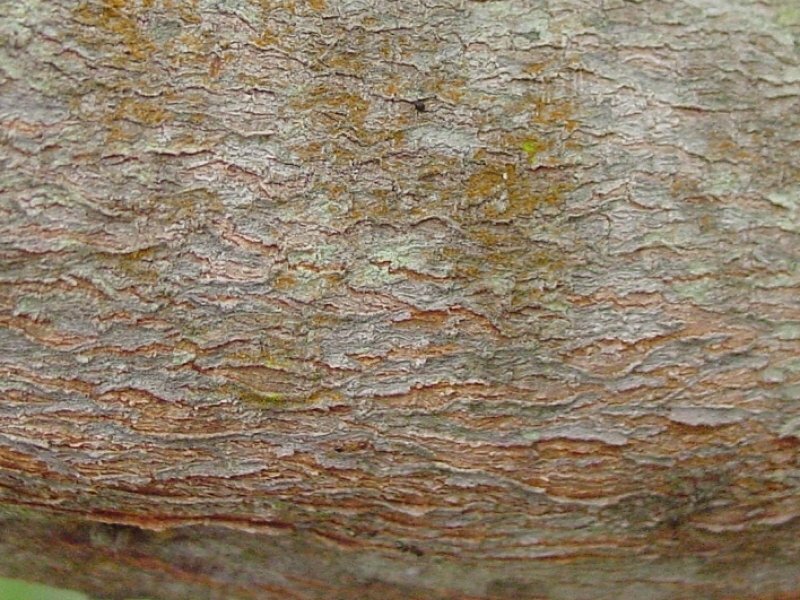 The Acorn Banksia, Orange Frost (Banksia prionotes) leaves have zigzag edges; however Banksia prionotes leaves are not as deeply notched as Banksia nerifolia. 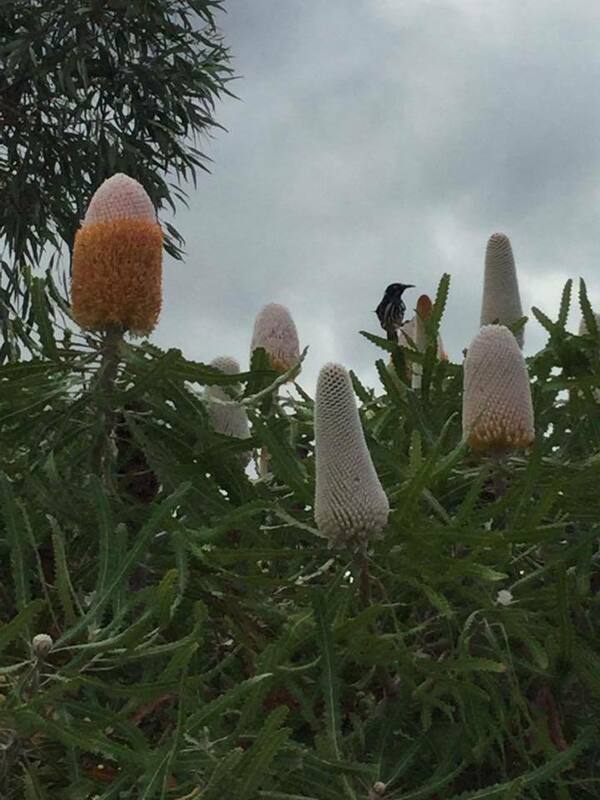 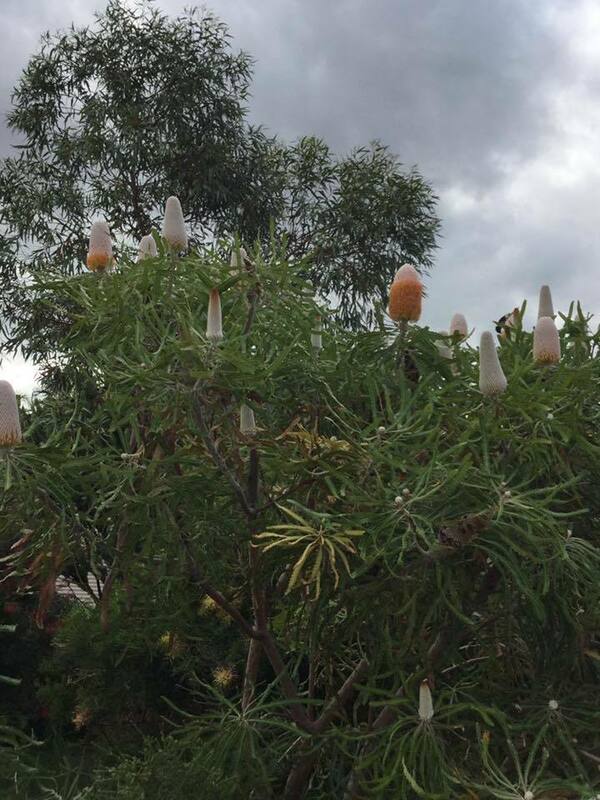 In the wild, Western Australia. 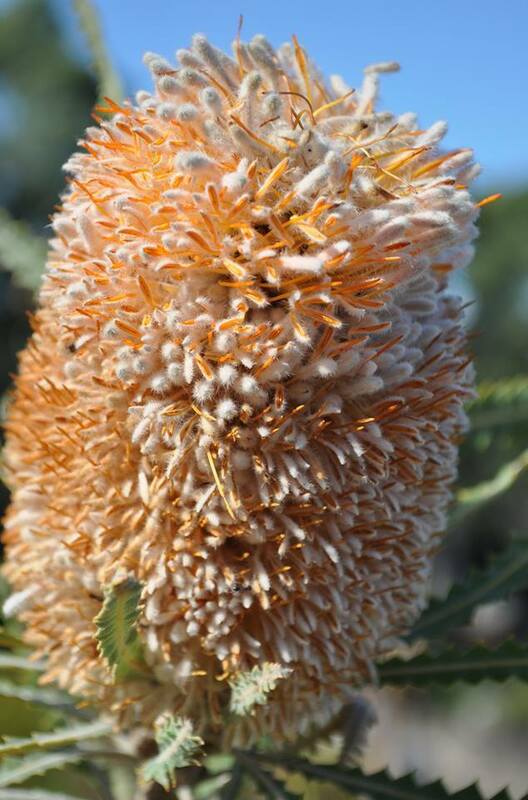 Photo courtesy of and copyright of Terry Dunham from Kukerin, Western Australia. 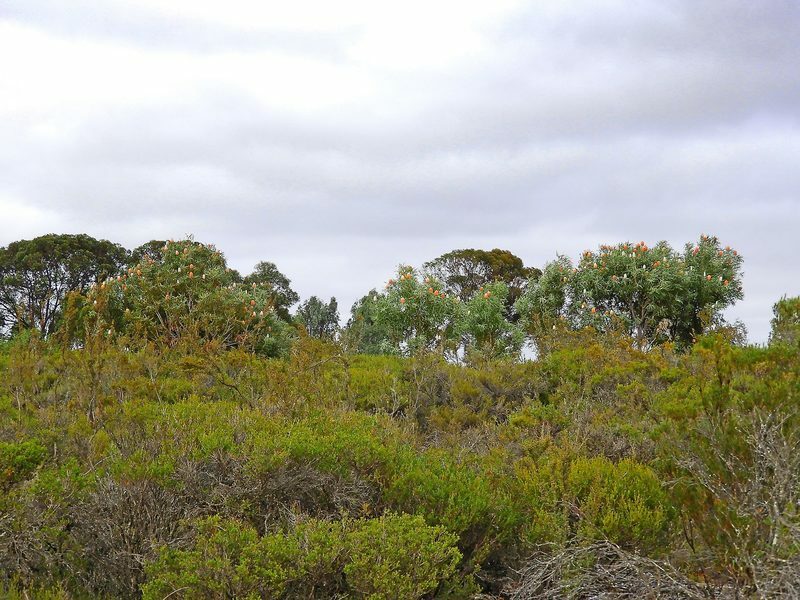 Mogumber area, Western Australia. 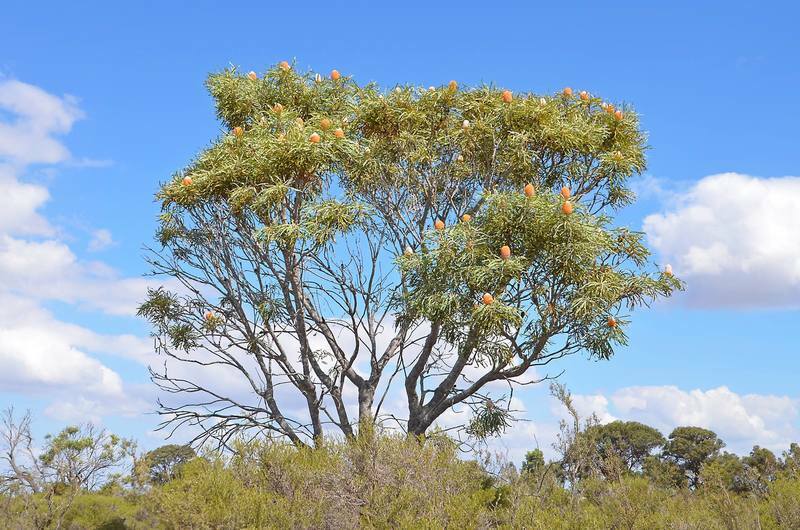 Photo courtesy of and copyright of Terry Dunham from Kukerin, Western Australia. 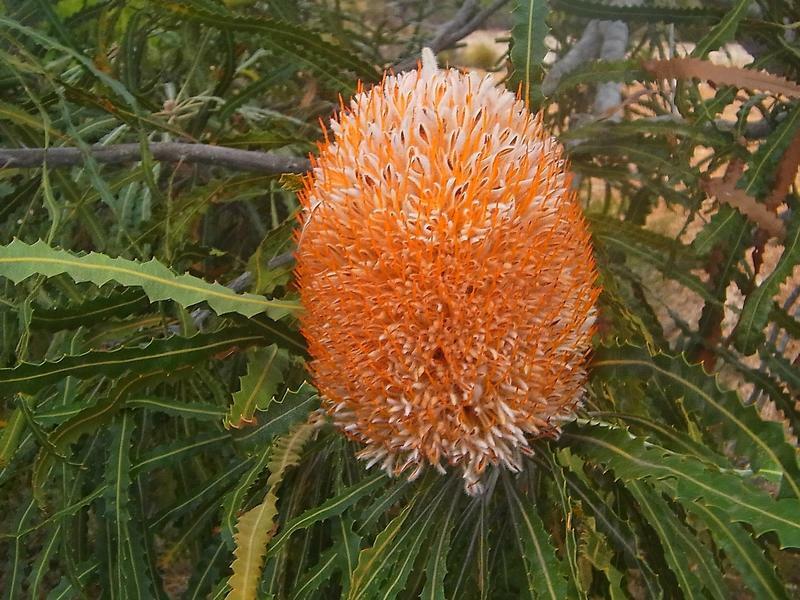 Mandurah, Western Australia. 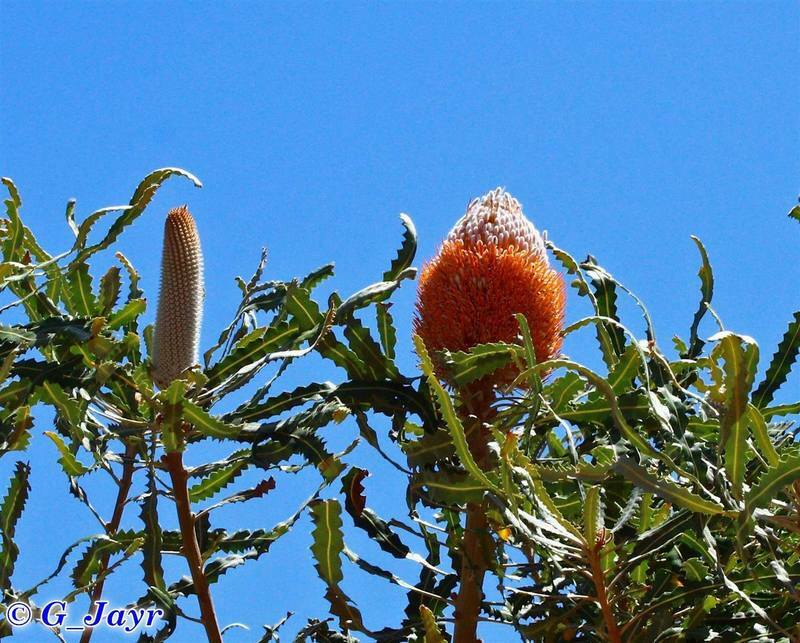 Copyright Josh Witt of South Perth, Western Australia. 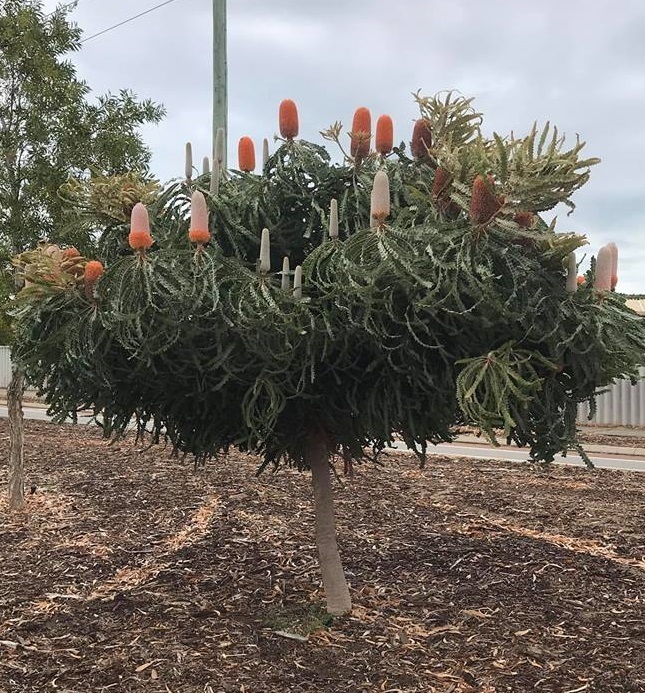 Mandurah, Western Australia. 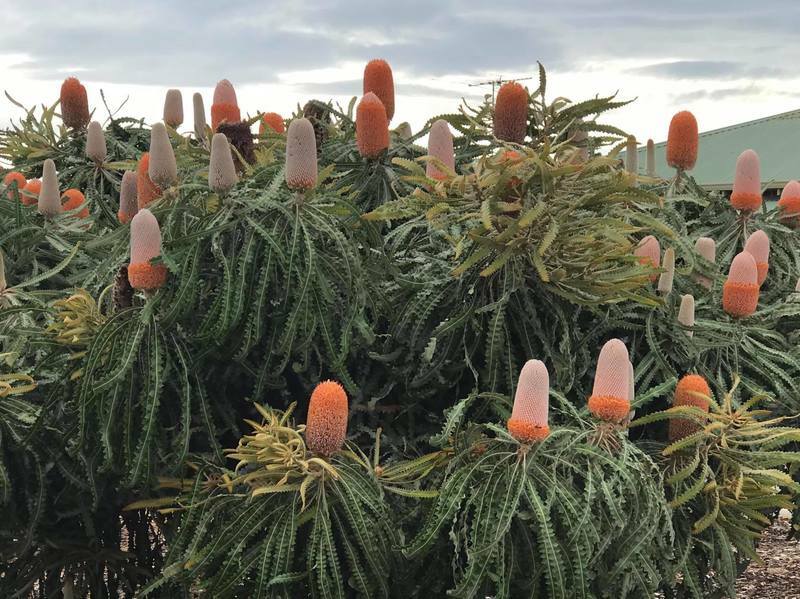 Photo courtesy of Josh Witt. 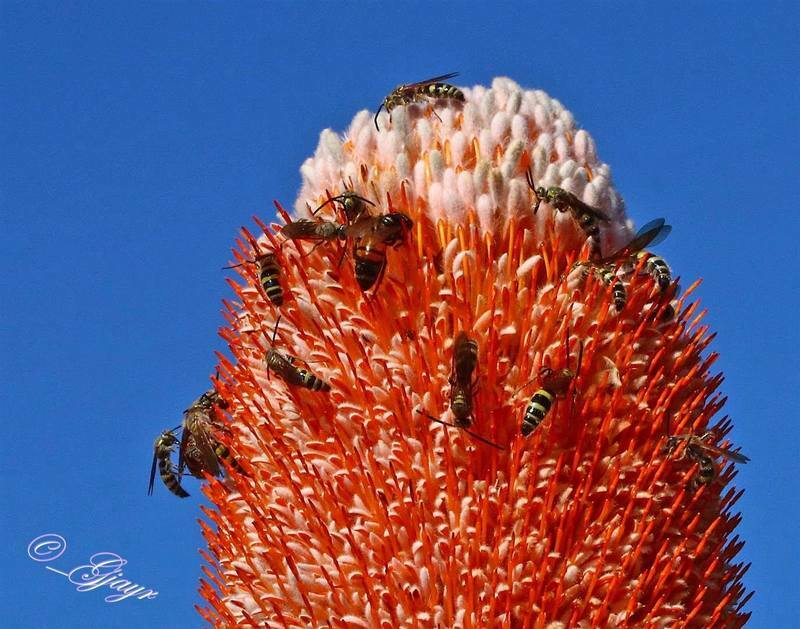 Copyright of Josh Witt of South Perth, Western Australia. 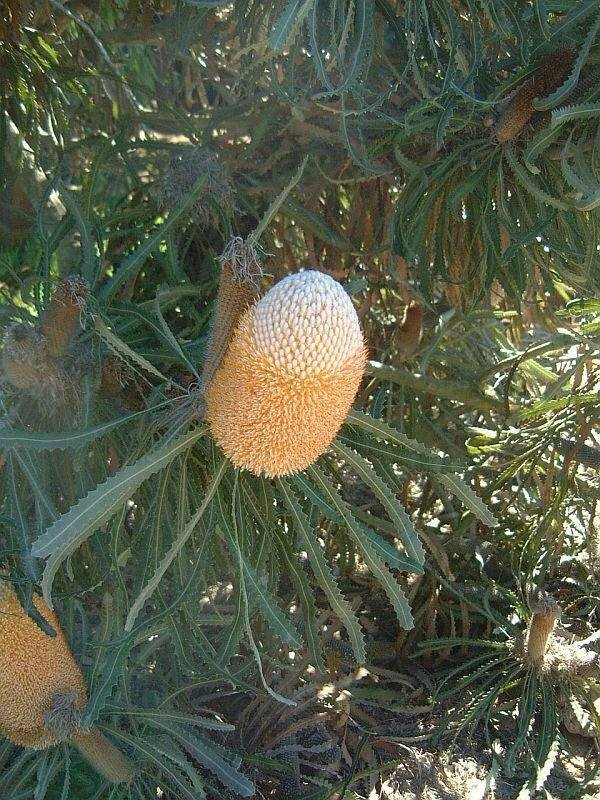 The Australian Botanic Garden, Mount Annan, New South Wales. 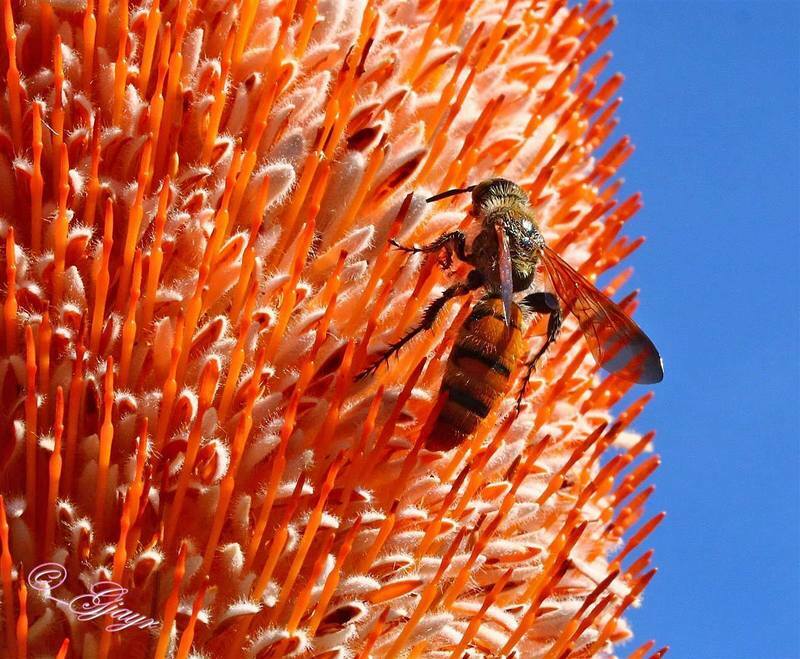 Copyright Karlo Taliana, Sydney, Australia.